An exterior black and white rendering of Les Invalides pictured against a dramatic sky in Paris, France. Les Invalides is one of the most popular sites for folks visiting Paris. Originally commissioned by King Louis XIV, who built the Palace of Versailles, as a hospital for wounded soldiers in 1670 the thirteen acre site is both interesting and photogenic. The 107 meter high golden dome, under which the ashes of Napoleon are housed, is a great example of classic French architecture. The above photo was made under quite high contrast conditions. What, in reality, was a considerably brighter background than what you see here would have resulted in the building photographing much darker than expected. I could have countered that by allowing more light into the camera, but exposure adjustments produce a global (i.e., overall) change to the brightness of an image. In this case allowing more light into the camera would have brightened both the building and the already bright sky. While the building would have looked okay, the sky would appear too bright. This series of images are then given to a software application to combine into a single composite file that re-maps the original high contrast (i.e., high dynamic range) scene into an image with more moderate contrast and, here's the miracle, a more expansive tonal range than would have been possible with a single exposure. Now its possible that you may be happy with the result produced by your software, either as a straight conversion to HDR or by selecting one of numerous presets offered in some programs. More experienced practitioners will likely want to refine the default conversion to better match their own creative vision. There are numerous applications designed for HDR photography. The one that's become incredibly popular over the last few years is Aurora HDR. It's quite easy to use and the parent company, Skylum (formerly MacPhun), have loads of great resources to help you get up and going with this software quickly. As well as a great way to manage one of the biggest problems associated with photography: reducing the dynamic range (i.e., contrast) of a scene, a HDR workflow also allows for creative exploration. 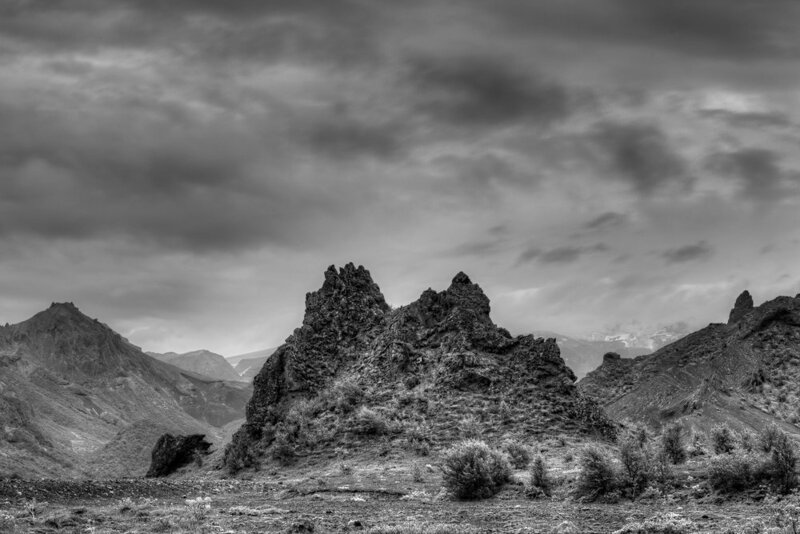 For a relatively realistic rendering, in black and white or color, or more of a stylistic, fantasy-like result a HDR workflow offers it all. The learning curve is relatively simple and the results can be amazing. High Dynamic Range Photography | Is It Right For You? So, once you've achieved a reasonable measure of confidence in camera handling, exposure and image processing you may be ready to explore the world of HDR. Providing, that is, you're not adverse to the idea of using a tripod. If you meet this criteria, and are often disappointed with the quality of your images made on bright sunny days, it may well be time to investigate the world of HDR. I hope you'll allow me to help guide you along the way.